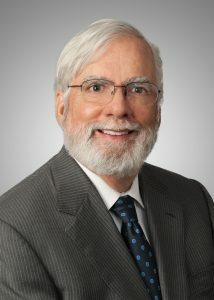 Commissioner for Patents Robert Stoll to Retire Effective Dec. 31st. Deputy Commissioner Focarino to succeed. Since he became an Examiner in the chemical arts in 1982, Bob Stoll has been an increasingly important presence (some would say “force”) in the USPTO. He has held executive/administrative positions in the Office since 1979 and has been Commissioner since 2009. Margaret A. (Peggy) Focarino is currently Deputy Commissioner, and already is one of the highest ranking women in PTO history. Interestingly, they both have undergrad degrees in science: Chem. E. for Bob and Physics for Peggy. Congratulations to both of you! This entry was posted in People and tagged Bob Stoll, Margaret A. Focarino, USPTO. Bookmark the permalink.